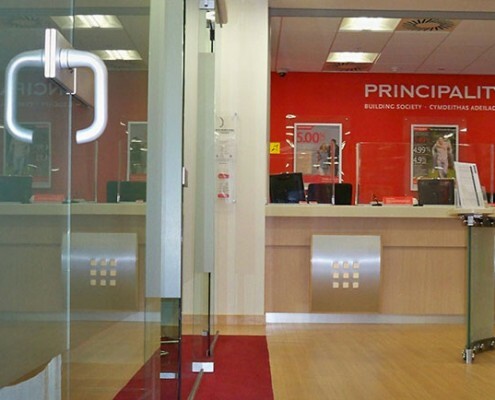 Principality Building Society, Wales’ largest financial services provider, opened its 51st branch in November 2009 the first financial organisation to open a branch at Cardiff’s new St David’s retail development, one of the largest shopping destinations in the UK. The new 230m² concept branch which comprises of customer reception and waiting areas with open sales desk pods, interview rooms, counter positions and back office area for staff facilities. 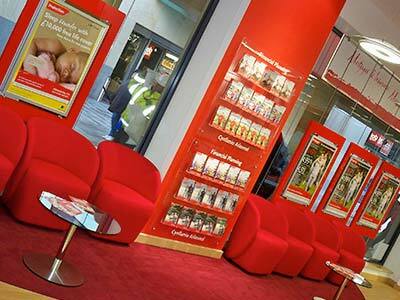 The branch will house a team of highly experienced staff from Mortgage Consultants to Key Sellers and Customer Advisors. 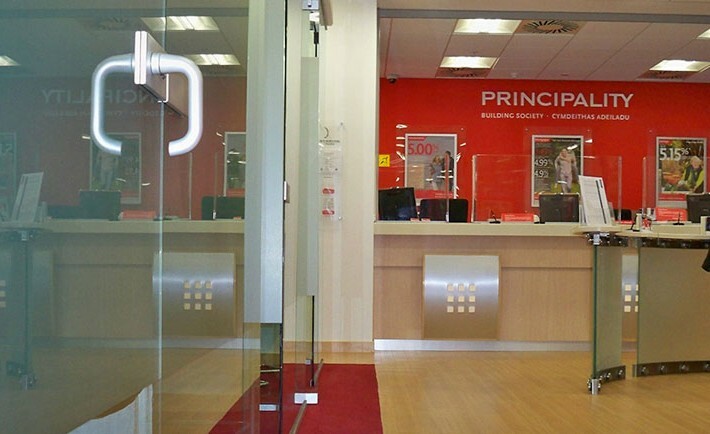 It will also be the first Principality branch to display the touch screen plasma of the Society’s subsidiary estate agency, Peter Alan, allowing customers to obtain details of any of Peter Alan’s 4,000 houses to buy or rent at a touch of a screen, 24 hours a day, seven days a week. This integrated approach provides customers with a one-stop shop for both their property and financial needs.